Upright vacuums feature a vertical frame with the handle at the top; a dust accumulation component (bin, bag, HEPA filtration etc) at the center; and a dust gathering system at the base. The upright vacuum can generally cover more floor space in less time than a canister style. They have a high capacity of dust intake and are best suited for cleaning carpet areas and uncluttered floor spaces. These vacuum cleaner configurations tend to be noisy and their weight may present a problem, especially when trying to carry them up and down stairs. Upright vacuum cleaners are by far the most popular type of vacuum cleaner in the United States. Uprights are excellent for homes that feature significant wall-to-wall plush carpeting. In recent years, many features have been added to uprights that make them better at cleaning hard floor surfaces as well as above-floor cleaning (i.e. drapes, stairs). The basic canister vacuum design is in two-parts, a long, flexible hose and a cylinder shaped ‘canister’ which houses the motor. If your home has a mix of hard floors and carpeted areas, you may want to consider a canister vacuum for your cleaning needs. The long handled wand allows for greater reach and therefore more versatility when different attachments like dusting brush, upholstery brush or crevice tool is connected to it. Similarly, the canister unit houses not just the motor but also the bag (in bag type) or bin (bag-less) along with other filtration systems. In recent years, canisters have become more popular as non-carpeted floors (i.e. tile, wood, linoleum) have become more popular. Canisters are versatile cleaners that can address a variety of cleaning applications. Canisters with powered brush rolls offer cleaning performance similar to that of uprights. Steam cleaners or steam mops use hot, pressurized steam, also known as dry vapor containing only about 5% water in the vapor. 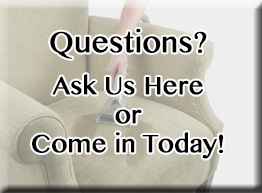 They remove dirt, grime, oil, grease and stubborn buildup and stains, killing allergens, bacteria and fungus. They can be used for surfaces which are heat resistant, either commercially or at home. They are especially useful when there are children and older people around who are most sensitive to other commercial cleaning agents. Several machines are called steam cleaners or steam mops, but really they are only hot water extraction units. They do not use steam as their main cleaning agent. Be sure the steam cleaner or steam mop you use has enough heat to provide steam and not just hot water — water and hardwood is BAD. As a result, steam cleaners or steam mops are ideal for spot cleaning upholstery/carpet cleaning, hard surface floor cleaning, tile and grout cleaning. They are used to clean appliance surfaces, counter tops, bathrooms, vinyl floors, sealed hardwood floors, and so much more. Most are detergent-free, meaning money can be saved by avoiding expensive cleaning products. With high-pressure steam penetrating the surface, all unwanted stains are attacked with force. Steam cleaning is growing in popularity as a solution for removing bacteria and grease, as well as helping to eliminate dust mites and allergens in the home. 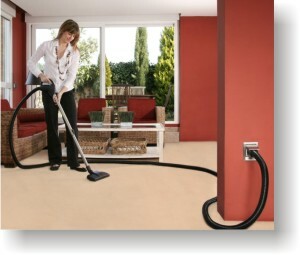 Full-sized upright vacuums can be heavy, inconvenient and awkward to move around the house. While nothing can replace the cleaning power of a full-sized vacuum, stick vacuums can help ease some of the cleaning burden. These smaller vacuums are lightweight. Most even weigh less than 10 pounds. A stick vacuum’s compact design also makes it easy to move around the house and to store in areas with limited space, like a pantry or linen closet. 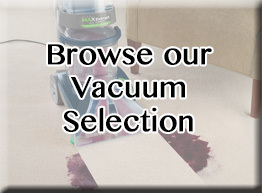 An attractive feature many stick vacuums offer is conversion into a hand vacuum. This option is great for cleaning stairs, upholstery and vehicles. Floor Scrubbers scrub, polish, wax and buffs all kinds of floors with professional results and little effort, restoring their life and beauty. Central vacuums systems are quickly becoming a popular and common feature in homes everywhere, particularly in new home construction. Dirt, debris and dust is transported through a simple network of tubing that runs through the walls of your home to a main power unit, usually located in a garage, basement or utility area. There is no recirculation of dust particles in the living area – creating a truly healthier environment for your family. With a wide selection of accessories and power heads, Central vacuum systems easily cleans all carpet and floor types, from high pile carpet and area rugs to delicate hard floor surfaces such as vinyl, wood, tile and marble. No longer do you have to carry a heavy unit from room to room or up and down the stairs. No longer do you have to worry if the vacuum cord allows you reach the other side of the room. There are no cords to trip over, and your suction hose can be inserted right into the wall inlet locations that you choose, instead of into pre-determined electrical outlets. Vacuuming often isn’t enough to keep your carpet in top shape, and this is why, here at Mars Discount Vacuum, we also carry a selection of carpet cleaners and carpet cleaning tools. Imagine soft, clean, stain-free carpet throughout your home. Periodic carpet cleaning helps keep your carpet clean, fresh, and sanitary, while knocking out the tougher stains that your vacuum can’t remove. Dirty carpet is a major source of allergens. Carpet traps small particles like dust and debris, and while a good vacuum cleaner can help agitate these particles to the surface for removal, it takes a thorough deep-cleaning to get everything out. Keeping your carpet in premium condition helps maintain the value of your home, and it helps protect the health of yourself and your family. 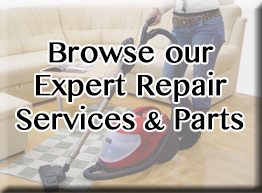 Visit our store to see our selection of carpet cleaning product and supplies today. 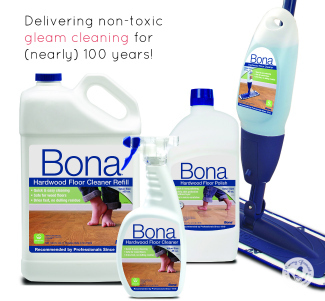 For your hardwood floors, we sell Bona’s Professional Series Hardwood and Hard Surface Cleaners, Mops, Spray Mops, Refreshers to bring back luster to worn floors and micro fiber pads for dusting and cleaning. Bona’s floor care products are the healthiest, easiest and most effective way to clean your hardwood and hard surface floors. Providing professionals and consumers with the world’s finest hardwood floor finishes from Sweden since 1919, Bona’s floor care system consists of a non-toxic waterborne cleaner specifically designed to use on polyurethane finished hardwood or hard surface floors and a reusable microfiber mop for cleaning and eliminating dust and allergens. Experts in hardwood floor care since 1919, Bona innovates systems and products for sanding, finishing, fastening and maintaining hardwood floors.Bona’s Professional Series Hardwood Floor Care and Stone, Tile & Laminate Systems are designed for effective and easy care of hardwood floors. The #1 choice of professionals, these floor care products are safe for floors, families, and the environment. Bona is committed to lasting results and building strong relationships with all of their customers. That is why they offer Lifetime Support. This is a reassurance from them that they will help you preserve a perfect surface for your floor throughout its lifetime. This offer is what makes Bona unique. This support is their way of sharing their professional experience and expertise, so you can achieve optimal results – wherever the floor is located and throughout its lifetime. How often do I need to replace my vacuum belt?